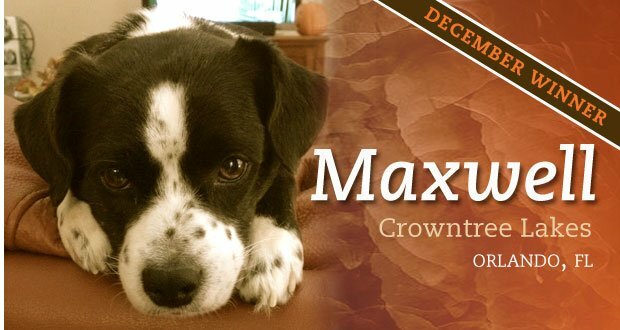 When owner Tava saw Maxwell at a local shelter, she signed right up for the chance to bring him home to Crowntree Lakes. Little Maxwell stole my heart the moment I laid eyes on him. I first saw him when I was visiting an animal shelter. He was over on the stray side and his owners still had a day to claim him. I put my name on the waiting list should he be available for adoption. The next day I received a phone call from the shelter saying he was available! We’ve been a pair ever since. He’s such a good companion. He’s always so excited when I get home from work and loves going on walks and car rides. He especially loves curling up on my lap at the end of the day.